Naksh gets caught in the fire, while everyone create chaos. Naitik’s office catches fire and he comes to know Akshara and Naira are caught here. Naitik and Naman find them and take alone safely. Naksh comes there without informing them, and Naitik takes aside Naira. Naksh looks on and feels no one loves him, and everyone just loves Naira. Naman and Naitik go back to save Naksh, while Naksh calls for help. Akshara and Naitik does not know about Naksh being stuck there. Akshara is shocked seeing Naksh in fire, and it has to be seen how Akshara and Naitik save Naksh in their heroic way. A romantic dance in the Holi Episode will be showing Simar-Prem, Siddhant-Roli, Rajat and Anushka’s dance. The Bharadwaj family will be joining Shastri family. Simar wants the key from Roli’s waist. The key is unique as it’s the key to the red door of secrets, which will be showing Roli’s true face of being a Naagin. Simar tries her best to get the keys from Roli, and asks Anu to help her by sharing everything with her. Anu agrees to help her and takes Devyaani’s help. Anu gets the keys and hands it over to Simar. Simar rushes to release the secret of the red door. Coming to Minty and Astha’s plan, they invite Veer in the Holi function, only to create a scene in Rajat’s eyes. Simar comes to know about Minty’s filthy plan and she saves Anu from getting trapped. Aarushi going missing drama ends, and Vihaan’s mum asking him to end the marriage and take the Baraat back. Aarushi was just doing some last touchups and gets busy, while everyone wonder where did the bride go. Vihaan gets Aarushi in time and they get married in the Shubh Mahurat. Aarushi and Vihaan get married and this good twist in the show will bring lots of drama, as she gets welcomed by her seven MILs. Aarushi hugs her family and her Bidaai is shown. She wants love from Vihaan’s seven mothers. The mothers do her Grahpravesh. Sid’s love wins again. He reaches the wedding venue by making an aerial entry. He shoots the color gun and fills Roshni’s Maang with the sindoor. Sid then talks to DD and says only he can do this by filling Roshni’s Maang will the Pichkari gun. He says he is her only son in law/Jamai Raja. Sid gets the divorce papers which he has made to sign by cheat. Sid clears the matter to Roshni and DD. Yash scolds Sid and takes Roshni to fill her Maang with his name’s Sindoor. Roshni stops Yash and hugs Sid. Sid promises DD that Roshni will be with him in 10 days, and they will be living as husband and wife, in DD’s home. He asks her to do anything to stop him, as he loves Roshni a lot and will not stop at any cost. He tears the divorce papers and throws it. Sid leaves the venue being sure that Roshni loves him. LD gets angry on his brother, and did not expect a fight with him. He realizes Murli had much frustration in his heart. LD brings out his anger while exercising and troubling himself. Radha sees LD’s angry look and goes to pacify him, asking him to understand Murli’s frame of mind too. LD gets glad seeing Radha bridge their relations. Radha too realizes the change coming in her. Sandhya wakes up after the Bhaang effect and the family asks her what did she say in the Holi function. Sandhya confirms that she told is true, and she is indeed pregnant. Sooraj gets promoted from being a son to a father. Everyone congratulate him, after Sandhya gives them the good news. Bhabho thanks Lord as this will seal everyone’s mouths and taunts on Sandhya. Babasa hugs Sooraj and teases him on his promotion. Sandhya gets shy and leaves. Bhabho starts doing arrangements to set everything perfect for Sandhya’s care. Sandhya’s kidney donation sacrifice did not come infront of everyone, and its just Sooraj and Sandhya’s secret. Meenakshi feels Bhabho is doing too much, which she did not do for her pregnancy and fills Emily’s ears. Bhabho scolds Meenakshi reminding her mistakes, and asks her not to repeat any home parting schemes. The longest kidnapping drama on Telly is currently in KumKum Bhagya. Abhi and Pragya run on the bike and get inside the jungle, and the corporator Neil Thakur gets after them. Abhi and Pragya face the fire sequence, as Abhi and Pragya are found hiding in a hut, and Neil burns the hut to kill them. He does not have anything to do with Pragya, as Neil madly loves Bulbul. Abhi again runs with Pragya by fooling Neil. Raman files case for getting Adi’s custody, and tells Shagun that she will be all alone one day if she does not change for good. Romi gets forgiven by Bhalla family and his medical state comes in picture. Raman feels Sarika is best for Romi, as she is bearing his child and loves him truly from her heart. Ishita disagrees as she is concerned for Sarika, thinking Romi is not ready for marriage. The Birla Family does the Holika Dahen ritual. Suhani’s eyes catches some dirt and Yuvraaj blows in her eyes. Soumya comes in between them and says she will blow in Suhani’s eyes. The family members do the arrangements at night and get ready to play with natural colors. Dadi is against playing Holi, but she gets ready for keeping the children’s heart. Soumya greets Suhani happy holi and applies her colors. Suhani keeps an eye on her, as directed by Sharad. Soumya’s tries to get near Yuvraaj fails, even when she gets support from Dadi and Rags. Suhani and Yuvraaj enjoy the most and Soumya angrily eyes their romance. Soumya’s annoyance goes after she gets a letter. She smiles thinking Yuvraaj sent her the letter, and he called her on terrace to meet her alone. She thinks he is dancing along with Suhani just for showing fake love, and he really loves her. But Soumya does not know about the letter sender, its someone else and not Yuvraaj. 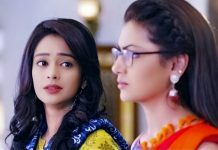 Ahilya fails to get any proof against Shlok and clears her doubt on Ballu, she then doubts on Sapna. She returns home knowing about Indrajeet’s hand fracture and tries to trap Astha in her plan. She lays some important files in his study and wants to see whether Sapna shows some extra interest in it. She recalls Sapna taking Niranjan’s pics’ file and suspects her. Astha tries to know about the files and sneaks inside the study, while Ahilya is watching her. Shlok helps Astha and they again manage to skip Ahilya’s doubt against them. Titu hugs Panchi, and she gets glad getting a warm hug from Titu. This turns to be a dream sequence of Panchi. The rain onset becomes romantic for them, as they pass some time outside in rains. Titu enjoys the hot tea and his shirt button breaks. Panchi stitches the button, while he is not affected any bit in reality, as he gives his shirt to her and goes out to pass time. Panchi’s dream ends and she hugs his shirt being shy. Ishaan is annoyed with Urmi and unable to focus on work, while Urmi cries being at home. Urmi mistakenly says something which strikes Ishaan’s heart. Ishaan’s mum is also a hurdle between them, and creates a misunderstanding. 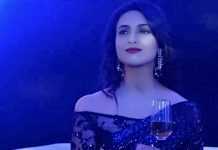 Ishaan buys a beautiful cocktail gown for Urmi, which gets replaced by a vulgar nightie by the shopkeeper’s mistake. Urmi feels Ishaan is also one of those men who have a wrong mindset. Ishaan gets saddened as Urmi misunderstood his intentions, and leaves from home. His mum asks Urmi to go to her Maayka, and also fuels Ishaan’s mind against Urmi. 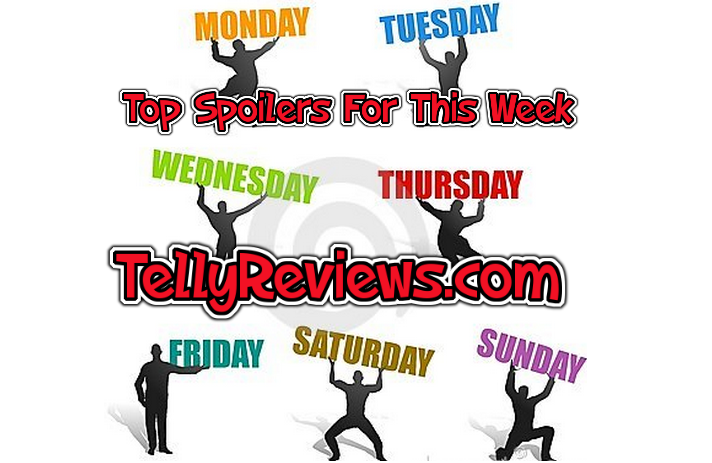 ZINDAGI WINS (bindass) spoilers please!!!!! Pls guys Nisha aur uske cousins spoilers.as all want to know track ahead.pls.Thank u for yhm spoilers.? Thanks TR for providing good spoilers everytime. I love this site a lot and keep it up guys admin and team.